a. Applicant must Bangladeshi citizen by birth. b. Written Test Examination 80 Marks. Every interested student can apply for Jhenidah Government Veterinary College via Teletalk Mobile Operator below instruction. Reply: Congratulations! Applicant’s Name, payment completed successfully for Jhenidah Government Veterinary College. User ID is (xxxxxxxx) and Password (xxxxxxxx). c. Upload your Photo and Signature. d. Download your Admit Card and print it. Jhenidah Government Veterinary College Admission Examination Center and Test Seat Plan will publish on www.jgvc.ac.bd or www.dls.gov.bd and Notice Board. Jhenidah Government Veterinary College admission result publish 19/12/2017 at 6.00 PM on www.jgvc.ac.bd or www.dls.gov.bd and Notice Board. Tags: jgvc teletalk com bd, jgvc.teletalk.com.bd. Jhenidah Government Veterinary College. 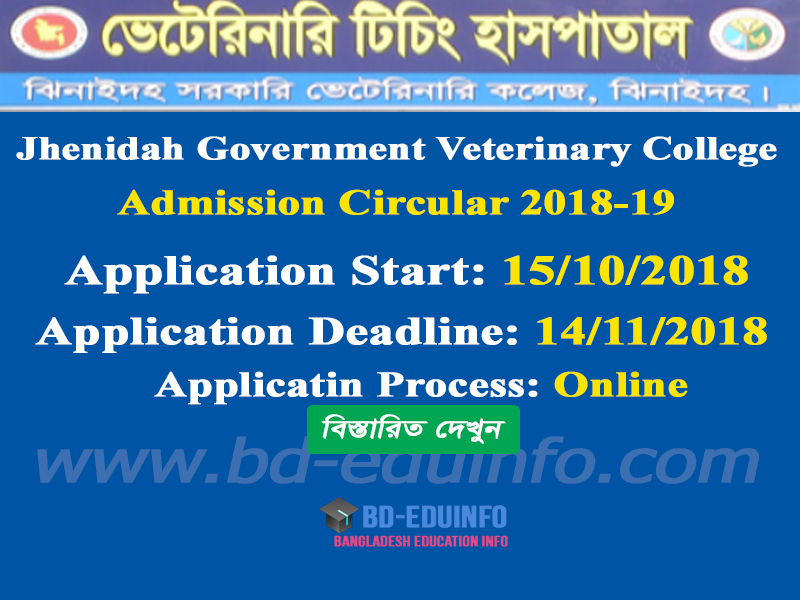 Jhenidah Government Veterinary College admission circular 2018-2019, Jhenidah Government Veterinary College admission circular 2018-2019. jgvc admission circular. Jhenidah Government Veterinary College admission circular. Jhenidah Government Veterinary, Jhenidah Government Veterinary College admission test notice 2018, jgvc admission, jgvc admission notice 2018-2019, Jhenidah Government Veterinary College admission Admit Card 2018-2019, Jhenidah Government Veterinary College admission Result 2018-2019.
jgvc teletalk com bd, jgvc.teletalk.com.bd. Jhenidah Government Veterinary College. 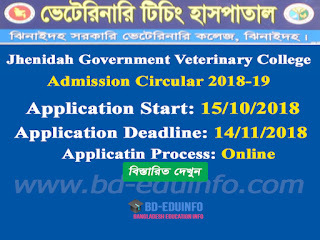 Jhenidah Government Veterinary College admission circular 2018-2019, Jhenidah Government Veterinary College admission circular 2018-2019. jgvc admission circular. Jhenidah Government Veterinary College admission circular. Jhenidah Government Veterinary, Jhenidah Government Veterinary College admission test notice 2018, jgvc admission, jgvc admission notice 2018-2019, Jhenidah Government Veterinary College admission Admit Card 2018-2019, Jhenidah Government Veterinary College admission Result 2018-2019.